Do your shopping at Art Gallery of Ballarat and Bruno's Art and Sculpture Garden. Shrine of Remembrance and Castlemaine Diggings National Heritage Park will appeal to history buffs. 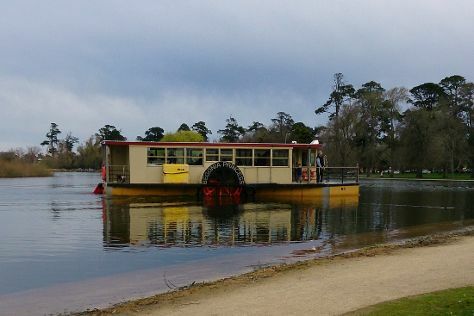 Venture out of the city with trips to Daylesford (Stony Creek Gallery & Lake Daylesford), Ballarat (Lake Wendouree, Ballarat Wildlife Park, & more) and Eastern Beach Reserve (in Geelong). Spend the 19th (Fri) exploring nature at Point Nepean National Park. Spend the 30th (Tue) exploring nature at Point Addis Marine National Park. There's still lots to do: stroll around Royal Botanic Gardens, admire the natural beauty at Melbourne Zoo, take a memorable drive along The Great Ocean Road, and look for all kinds of wild species at Moonlit Sanctuary Wildlife Conservation Park. To see maps, reviews, ratings, and tourist information, read our Melbourne travel planner. The Route module shows you travel options from your home to Melbourne. In April in Melbourne, expect temperatures between 23°C during the day and 11°C at night. Wrap up your sightseeing on the 1st (Wed) early enough to travel to Sydney. Start off your visit on the 2nd (Thu): identify plant and animal life at Wildlife Areas. 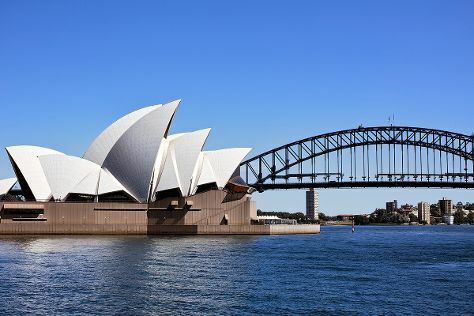 Get ready for a full day of sightseeing on the next day: browse the fresh offerings at The Rocks Markets, get a new perspective on things with Boat Tours & Water Sports, then trek along The Opera House to the Botanic Gardens Walk, and finally catch a live performance at Sydney Opera House. To find ratings, where to stay, traveler tips, and more tourist information, you can read our Sydney trip itinerary planning website . Traveling by flight from Melbourne to Sydney takes 3.5 hours. Alternatively, you can do a combination of shuttle and flight; or drive. Traveling from Melbourne in May, things will get somewhat warmer in Sydney: highs are around 24°C and lows about 14°C. Wrap up your sightseeing by early afternoon on the 4th (Sat) to allow time for travel back home.